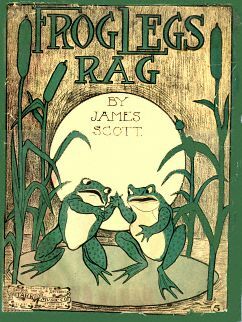 One of the pioneers of the classic rag style was James Scott. This work by Scott is a perfect example of a classic rag. Since Scott was one of the main developers of the classic rag, as you would expect, this rag has the sound and "feel" of what we most commonly associate with rags of this period. It is published by Stark Music, the company that is most associated with the classic rags. James Sylvester Scott was born in Neosho Missouri in 1886. He studied with other notable black composers of the period, including John Coleman and later, Scott Joplin. He was one of Scott Joplin's disciples and along with Joseph Lamb, helped create the Missouri "school" of rag music. 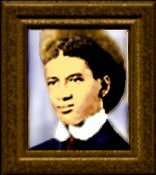 In 1902 he moved to Carthage, Missouri, and started work as a handyman in Dumar's music store where one day he was discovered playing the piano. When Dumar learned that Scott had been musically schooled, he promoted him to salesman and song plugger. Dumar encouraged Scott and he thought so much of Scott's music that he became his publisher. Through Joplin, he was introduced to John Stark, who published for Joplin and then took up Scott's publishing. In 1914 he moved to Kansas City where he was married and began teaching. From around 1916 to 1926, Scott also was an organist and musical arranger at the Panama Theater. All this time, Scott continued to write rags all the way till his last one, Broadway Rag, in 1922. Frog Legs Rag is one of his earlier rags and perhaps one of his most popular. He also wrote the Kansas City Rag (1907) and The Great Scott Rag (1909). In addition to rags, he also wrote some more traditional songs including Take Me Out To Lakeside (1914) and The Shimmie Shake in 1920. In his later years, Scott suffered from dropsy and was often in pain yet still continued playing the piano. He died in a hospital in Springfield, Missouri, in 1938. His music is often compared to Joplin's and some experts have described it as clearer and more lyrical than Joplin's. There is no doubt that Frog Legs fits that description. Used by permission from Rick Reublin.